Aria Telecom offers a best service for Bulk SMS. Our bulk SMS Services help you to send cheap bulk SMS in India. It is the cheapest way to reach prospective customers. It is an effective way to connect with the audience; existing or new targeted one directly.it allows you to connect with the customers in seconds with their mobile phones that they always carry with themselves. It’s the best way to update the customers about offers to new launches. Usually, bulk SMS services are used for promotional activities which directly create the brand image of the new launches so the content & format should be simple & understandable too. It is more effective than other marketing tools because almost every people have a mobile and there is no way to spam a text message. We have facility to integrate SMS API with any software solution. Bulk SMS services used for Promotional/Advertisement activities, General awareness, Event publicity, Product marketing, sale season for any product, staff/customer Wishes etc. Bulk SMS service is less expensive than other means of advertising due to its low setup cost and operational cost. SMS campaigns are easy to launch within small investment cost and reaches to thousands of customers in same time.SMS are normally open within first 3 minutes of delivery and this is where it performs much better then social media or email marketing. Where email marketing takes 48 hours to open and read rate is only 20%, SMS read is almost 80% and opening time is as lower as 3 minutes.Response rate of SMS is much higher as it is easy for users to reply over a message. It is easy to build own audience through Bulk SMS services as all mobile users opt for messaging services and thus receives advertising messages for sure. Where other means of marketing such as social media or email marketing can be treated as spam, SMS services have the privilege. 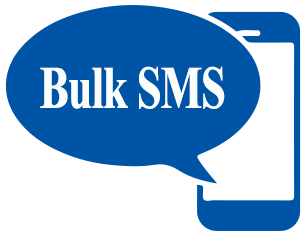 Bulk SMS delivers the message to user’s personal mailbox which increases its viability. Businesses have the privilege to set up campaign timing on their own which no other marketing tool offers. The chances of reading advertisement message through SMS service is much higher than due to the nature of messaging services and user tendency. Offers alert of Retail, Real-estate, Education, FMCG etc. Q1) Is there any text limitation in SMS Marketing? Yes it is limited up to 160 characters and it does not include any videos, graphics or images. Q2) How long does it take to deliver the message through Bulk SMS? It takes few seconds to be delivering the SMS,making it instantaneous. Q3) Is there any option to create Sender id? Yes sender id can be created and it’s restricted up to 6 characters only. As recipient receives SMS it will be show into your inbox by name (sender id) instead of number. Q4) What is payment procedure? Payment mode is available in varieties like NEFT, Cheque, and Cash etc. once recharge will be done, amount will be credited in your SMS portal and it will be flash on the top of portal.When SMS is sent amount will be debited as per the SMS rate. Q5)	How can I get the SMS reports? Web interface is provided to check the Delivery/Failed/Pending reports.